HUGE TREE SWING WITH GOPRO AND CHILDREN 3 YEARS LATER! For two million subscribers (for now) we’re uploading this Bonus GoPro video of the kids on a huge rope swing THREE YEARS after we made the original. I made this tree swing for Symphony when she was born. This is Juliet’s first time to swing on it and she absolutely loved it. We love you guys! Don’t be shy, SUBSCRIBE: http://goo.gl/VXBjhC! Суперкубок. 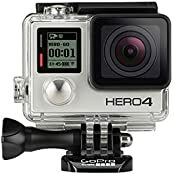 GoPro у игроков. Спартак – Локо.